Fun & Inspiration 6 Simple Habits That Boost Your Intelligence! Just as regular exercise helps keeps the body in shape, mental exercise can help strengthen the mind, keeping it in tip-top shape when it comes to thinking and memory. Memory can start to dwindle with age, but these six powerful habits can help you exercise your mind, keeping it sharp for years to come! Small talk is often a big part of the everyday life. Try breaking the cycle. Whether you’re meeting someone new or you’re engaging in a conversation with a long-time friend, skip topics like sports and the weather. Instead, try sharing your ideas and talking about what inspires you. Listen to the people around you and learn from their thoughts and ideas as well. Aim to truly learn something new every day. Whether it’s something that you’ve always been interested in, or something completely new to you, delve in and do some research. Try a new musical instrument, read a biography on someone interesting or start learning a new language. Research has shown that learning a new language improves the executive function of the brain, which increases planning and problem-solving. Asking questions is one of the best ways to learn. Research has shown that you’re more likely to remember something if you truly care about hearing it. If you’re naturally curious, questions will come easily. If you aren’t used to asking questions, start with something general, then pay attention to how your mind expands and where you go from there. If the body is slow, sick and sluggish, the mind may suffer the consequences. Keeping your body healthy is an important part of keeping your mind sharp. Exercise regularly by hitting the gym, going for a run, doing yoga or engaging in whatever gets your body moving and your blood pumping. Be mindful of what you’re putting inside your body as well. The food you eat has a direct effect on your brain, so stick to a healthy, well-balanced diet to ensure that your body is getting the nutrients it needs to stay healthy and strong. 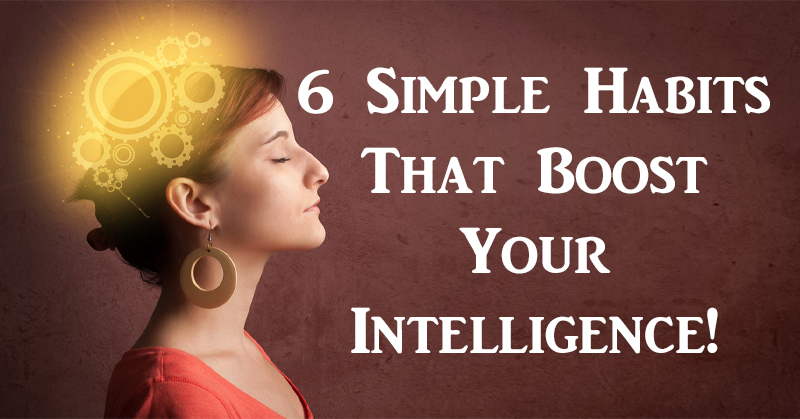 Keep your brain sharp by challenging yourself often. Do a crossword puzzle, try to solve a Rubik’s cube or check out a book of riddles that need solving. From a puzzle that takes weeks to put together to a friendly game of chess, challenging your brain to problem-solve will keep your mind active and sharp! Plus, you’ll get to have a little fun in the process. Research has shown that reading a book can boost brain activity, even for several days after! Whether you prefer science fiction, autobiographies, murder mysteries or how-to’s, stock up on a few new books each month and find time to fit some reading into your schedule. Reading expands your vocabulary, strengthens your imagination and keeps your brain active.